Concern for the earth is nothing new. Walter Brueggemann, writing in the January 2016 issue of Sojourners says, “The issue of climate change is a recent one, but the matter of revivifying the creation is a very old one in faith.” He goes back to the eighth century B.C.E. prophets Amos, Hosea, Isaiah, and Micah. With rich imaginations and strong vision these prophets proclaimed a powerful word that rings even more true today. Indeed, there are consequences, and the land mourns, as do all creatures who live on it. For lack of justice and knowledge of God and steadfast love, our land mourns. So, too, does the land of Guatemala. It is filthy. It is abused. 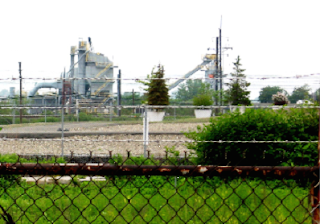 It is polluted by long unregulated chemical use and newer poisonous mining practices. It is another sad example of so many third-world countries where both native elites and outside extractors fail to acknowledge that God’s creation is made for all. Some in Guatemala are awakening. Professor and poet, practicing Catholic, and Mayan spiritual guide Daniel Caño says "we need to ask Mother Earth’s forgiveness for abusing her.” He urges a return to the old Mayan understanding of the oneness of all of creation and of our reliance upon her provision. Some are protesting, at great personal risk, the mining practices that are sickening their children and ruining their villages. Others protest the deforestation occurring throughout the country. Ponder Hosea’s phrase: “Therefore the land mourns, and all who live in it languish....” In the U.S., in Guatemala, throughout the world, creation cries out for steadfast love and justice for all. Choices do have consequences. Prayer: Oh God of all creation, we confess that we have not assured steadfast love and justice for all and our lands languish. As we are dragged mercilessly through this political season, may our choices be guided by your ancient prophets so that blessing may come for all of creation. In Jesus’ name. Amen! 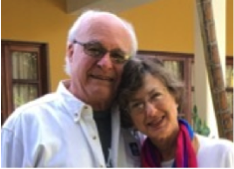 Dave Winters, along with his wife, Rachel Lausch, was a Mission Co-Worker in Guatemala and helps facilitate the more than 20-year partnership between Heartland and Maya Quiché Presbyteries. I lost a little weight in December. No, I wasn’t planning to jump start any New Year’s resolutions. I’d unexpectedly found myself joining the subsistence farmer’s diet for a few weeks, as adapted for a vegetarian visitor. I ate soup of yuca and plantain, grown yards away from where we ate, gratefully harvested from land cultivated for a dozen years by my friends, the campesinos of El Tamarindo. The communion of those midday meals gave us sustenance in the midst of spirit-draining tragedy. While crops and homes were being sinfully destroyed by machetes and bulldozers, I took a break from my prayers and advocacy efforts to sit at table and find refreshment with these friends. 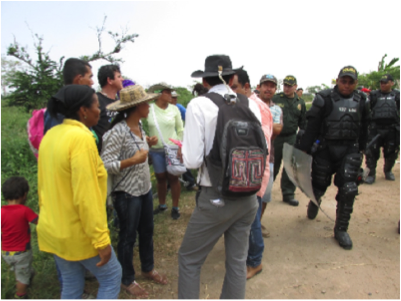 For a long series of days, the police, lawyers, and hired hands worked irrepressibly to complete the eviction of the campesino farmers, while the community kept vigil, stood guard, and did everything possible to preserve the dignity and rights of its members. walk past in El Tamarindo. A decade ago the campesinos sought title to the land but, before they could acquire it, an owner appeared: a corporation with commercial interests instead of plans to produce food for local neighbors or for the millions living in nearby Barranquilla. Since Colombia’s free trade agreements came into effect, the land became much too valuable to be left in the hands of campesinos. After five years of community resistance, the company finally succeeded in ousting the farmers in December 2015. The eviction of the campesinos from El Tamarindo was a defeat, but it’s not the end of the story. Some of the campesinos have relocated to a different farm, while others have found shelter in the city; all await the verdict of the constitutional Court, which has agreed to consider their appeal. In the meantime, the Presbyterian Church of Colombia continues to stand in Christian solidarity with them, working and praying for God’s justice. Prayer: Merciful God, forgive our complicity in a system that destroys life and livelihoods in the quest for “progress.” Give us eyes to see and ears to hear your people bound by injustice. Give us hearts of flesh that stir us to act in true solidarity with them, that together we may see your light and experience your healing love. Amen. 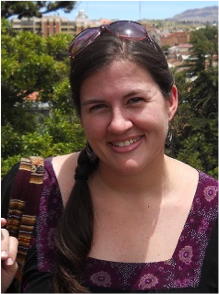 Sarah Henken lives in Barranquilla, Colombia, and serves with Presbyterian World Mission as Regional Liaison for the Andean countries of South America and as site coordinator for the Young Adult Volunteers (YAVs) in Colombia. She blogs sporadically at andeanjourney.wordpress.com. 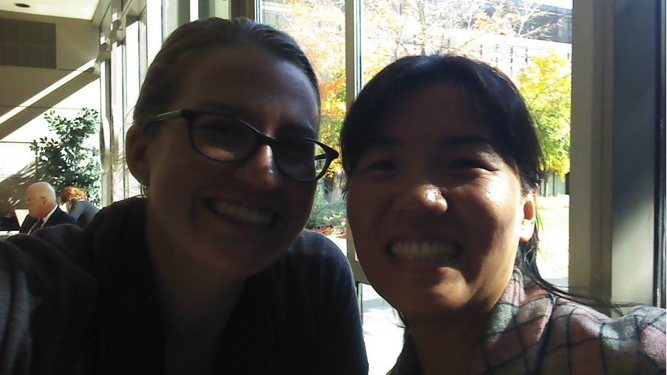 I first met Jiyoung Kim when we were students together at McCormick Theological Seminary from 2008-2012. She came from South Korea with her husband when he started his masters program; he was going to school while she took care of their three children. When she was in South Korea, Jiyoung had been an artist for Christian Education curriculum for the Presbyterian Church in Korean (PROK). Her beautiful images made from clay are perfect illustrations for how God speaks to us as we learn and grow as people of faith. In 2012, Jiyoung started her Doctorate in Educational Ministry at Columbia Theological Seminary, and her focus is how we use the church to care for creation. She has focused on how small churches can work together to love the earth and all that God has made. In a recent piece she wrote that "Christian education should be a place in which to thoughtfully engage in understanding our practices and performances. Furthermore, it should help them to live their lives the way God wants them to live. For this reason, ecology is one of the subjects which Christianity can put it into action as a specific, important and meaningful idea. We are empowered to do stewardship that should reimagine what it means to have dominion over the Earth, doing well by God, our Creator." 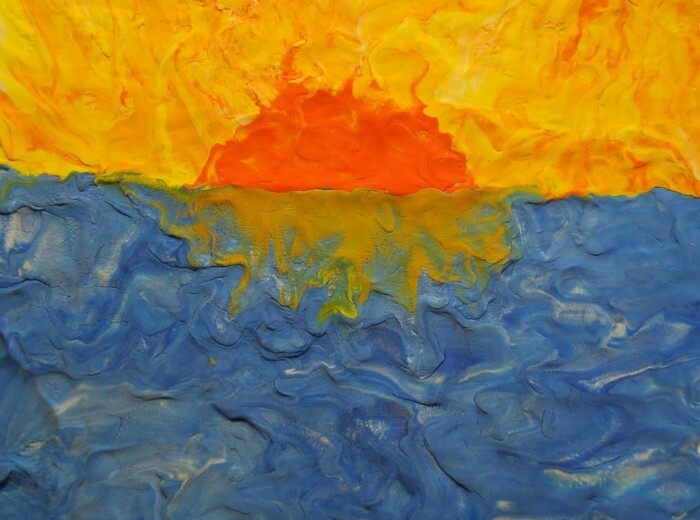 Her work relies on all senses so that the children, youth, and congregations she engages feel connected in every way to the earth and to each other. You can see some of her work and read her writing here. where mining and climate change are dramatically impacting the environment. Jesus had yet to preach a single word, perform a single miracle or even speak a single truth to power, and yet the devil calls him the ¨Son of God¨ - a tempting title reserved for Caesars, Kings and Emperors. Former Peru President Garcia once screamed that no advancement will ever come as long as the ¨dogs of the orchard¨ block human progress. 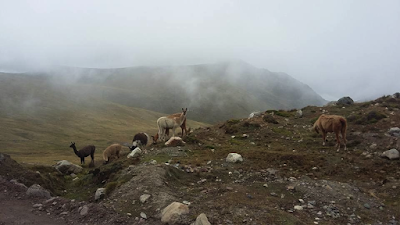 The ¨dogs¨ he spoke of were the indigenous peoples of the jungle who were protecting the lands from the invasion of the extractive industry whose billion dollar profits are the backbone of Peruvian progress today. He wanted to settle a debate about how to use those profits: some on the right argue for more investment in business, some on the left argue for more investment in health and education. But for those from the ¨orchard¨ - the ¨dogs¨ - they bark and growl, wondering what difference any investment will make if it all hinges on the destruction of land, displacement of peoples, contamination of waters, imbalance and discord in Creation. It is hard to imagine that there is greater distance between us than that between left and right. But in the end, we live between two worlds, not just two points on a line. One world seeks harmony, a peaceable kingdom. The other seeks something better, a great city upon a hill. One uses nature to move the human family forward. The other embraces nature as sister and brother. One is fully human, delicate and vulnerable, trusting and innocent; it is knowledgeable and wise and so often misunderstood. So often dehumanized. And the other? It is less than divine, seeking power to make positive change, generating profits to share with the less fortunate; it is an oh so tempting image – perhaps even of the devil himself. You and I may never be emperors, but like Jesus we still have a choice to make: accept our humanity or hide from it. What world will you choose? What will be your kingdom come? Prayer: God of all Creation, may Your knowledge fill the earth as the waters cover the sea, and may we learn to neither hurt or destroy on all Your holy mountain. Amen. Rev. Jed Koball is a PC(USA) mission co-worker who serves as the Presbyterian Hunger Program’s Facilitator for Joining Hands in Peru. 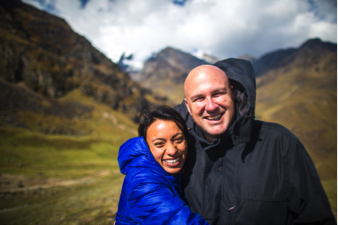 He serves with his wife, Jenny Koball, who is the site coordinator of the Young Adult Volunteer Program in Peru. At the PEC conference in September 2015, The Rev. 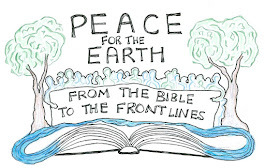 Dr. J. Herbert Nelson II, Director of the Office of Public Witness, preached, "Presbyterians cannot solve the world’s environmental issues alone. It will take a unified effort from the privileged, those living in poverty, people of different races and cultures." To that end, we have invited a diversity of voices to provide devotions for this year’s Lenten Devotional. Our inspiration comes from Isaiah 58: 6-9, Is not this the fast that I choose… God promised the Israelites a new thing on their return from exile. Yet on their arrival, they built a system that included injustice, oppression, and hunger. This was not the fast that God chose. Today, climate change and environmental degradation lead to issues of injustice, oppression, and hunger. This is not the fast that God chooses. Reflections are planned for Ash Wednesday, each Sunday in Lent, Palm Sunday, Maundy Thursday, Good Friday and Easter. We hope that you find these reflections helpful and hopeful in this Lenten time of journeying to the cross. As we enter this season of Lent and our journey to the cross, a time of considering how we can make changes in our lives, those of us in the mainstream of the environmental movement might try to understand the efforts of the environmental justice movement, and how we can work together to promote that work. To help my understanding, I reached out to one of the leaders in the environmental justice (EJ) movement, Dr. Nicky Sheats. We talked about carbon trading, and how the mainstream environmental groups and the EJ movement look at the issue differently. What is carbon trading? Usually it is reducing overall carbon dioxide emissions by some defined amount coupled with the trading of emissions. Then it is called “cap and trade.” All polluters must obtain an “allowance” before they can emit a certain amount of carbon dioxide. Overall reductions are achieved by setting the amount of available allowances, and therefore carbon dioxide emissions, at a lower level than previous emissions. Overall emissions may drop, but individual corporations can avoid or limit reductions by buying allowances. Mainstream response? Great, reduces greenhouse gas emissions, positive impact on global warming and climate change. EJ response? If you emit carbon dioxide, you also emit other air pollutants that make people sick. So it matters to communities where these reductions occur. But it doesn’t matter to the trading program. EJ ask: Make sure that polluting facilities in EJ communities are required to decrease emissions. Mainstream response: we need the carbon trading deal, let’s not complicate matters. When discussions on carbon trading began, was the EJ movement consulted? No. As far as Dr. Sheats knows, no one reached out to the EJ movement. Did the EJ movement pitch a fit? Yes. Their perspective? Let’s take this opportunity to do some planning so that we make sure there are emissions reductions in communities overburdened with pollution. Let us remember that everyone’s context is different. The EJ community wants to ensure emission reductions occur in neighborhoods most affected by pollution. The mainstream environmental movement wants an overall reduction in greenhouse gas emissions. These are very different goals. But they are not necessarily conflicting goals. Have things changed over the years? Yes. Now that carbon trading is EPA policy, the mainstream seems more willing to listen to the needs of the EJ movement. As Christians, is this good enough? I don’t think so. God asks us to break every yoke. One of the yokes is that suffered by EJ communities. As we enter this season of Lent, and reflect on how we might change our lives and break yokes, let us consider how we can make sure that that we not only hear all voices in the environmental movement, but that we take every opportunity to ensure that the concerns of all voices are included in planning solutions. 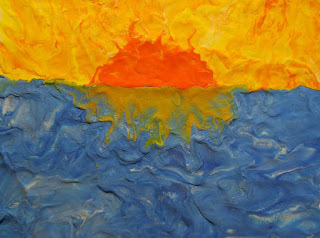 Prayer: Dear Lord, make our hearts open to the possibilities of the needs of all peoples in the care for your creation. Amen. 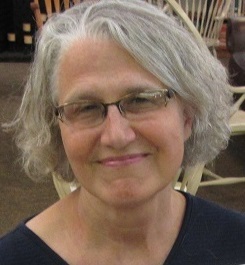 Sue Smith is the former Treasurer of Presbyterians for Earth Care, a recent M.Div. graduate of New Brunswick Theological Seminary, and a member of the First Presbyterian Church of Rumson, NJ. I want to thank Dr. Nicky Sheats for participating in this conversation. He is the director of the Center for the Urban Environment at the John S. Watson Institute for Public Policy of Thomas Edison State College, Trenton, NJ, which provides support for the environmental justice community both locally and nationally.